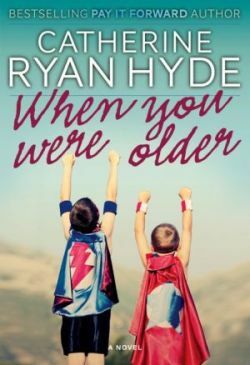 I've hinted recently that, with no disrespect to the UK cover, our US edition of When You Were Older is going to have a cover I just love. In fact, I chose the image myself. And here it is! The book has been out in the UK since spring. Look for it in late November here in the US, looking like this. It will arrive in both ebook and paperback format. And, of course, if you subscribe to my blog, or just stop in now and then, I'll always keep you up to date on the latest news and releases.